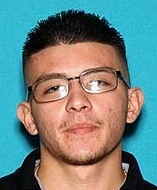 Jesus Eduardo Angulo, a 20-year-old Latino, was shot and killed on Saturday, Feb. 3, in the 17000 block of Virginia Avenue in Bellflower, according to Los Angeles County coroner’s records. Angulo and a friend were in the back of a large parking lot behind a bar at Virginia Avenue and Artesia Boulevard around 2:30 a.m. when someone shot them multiple times, Los Angeles County Sheriff’s Lt. Derrick Alfred said. Someone inside the closed bar heard gunfire and found the two men outside, Alfred said. Angulo was pronounced dead at the scene at 2:41 a.m., according to coroner’s records. He had been shot in the chest. The second man was taken to the hospital and is expected to survive, Alfred said. Investigators don’t have a motive or a suspect in the shooting, Alfred said. No weapon was found at the scene. The men were shot near a row of apartments, authorities said, but neither lived in the area. Angulo once lived in Sylmar, Alfred said, but most recently resided in the Pico-Union neighborhood of Central Los Angeles, according to coroner’s records. Beer bottles scattered around the area led investigators to believe that the men were hanging out and drinking in the parking lot, Alfred said. It’s unclear whether more people were with the victims prior to the shooting.